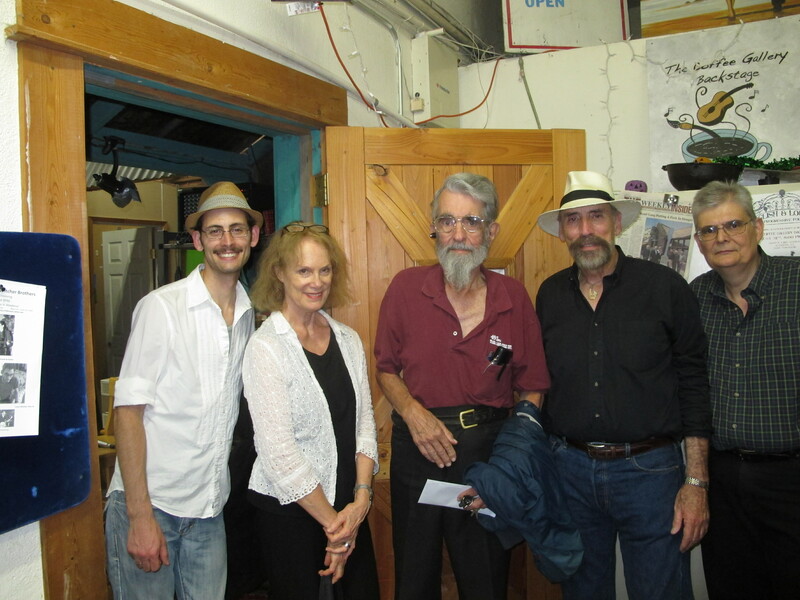 On May 15, Pitt was awarded posthumously the 2016 Music Legend Award by the Topanga Banjo•Fiddle Contest & Folk Festival, Inc. at their 56th annual event. We are sorry to report that Pitt passed away last weekend. He spent his last weeks in Burbank, first in a convalescent home he had been in previously, and then the final couple of weeks in Saint Joseph’s Hospital. There will undoubtedly be some mention of Pitt at the upcoming Topanga Festival, to which he devoted many years of service. Pitt’s friend, Shelley Herman says that he hopes there will be a gathering to honor Pitt at some point, but we think that Pitt would be happiest if people remember him by attending the Topanga Festival and having a great time amidst the music. The Pasadena Folk Music Society whole-heartedly thanks Pitt for the important role he played in furthering our own organization and we will miss his friendship and presence in the folk music world. The sound board we use at our shows was acquired from Pitt. Pitt Kinsolving died at 6:30 a.m., Sunday, April 3, 2016, after a multiyear battle with cancer. Pitt was a vibrant, vital presence in many lives. He remained active well after his 83rd birthday, finally becoming bedridden only after a car collision, while driving one of his beloved MGB-GTs, on his way home from a hospital stay. Cars, particularly sports cars, and particularly British sports cars, were one of Pitt’s first loves. Before developing the musical talent and skills for which so many knew him, he was a sports car mechanic and race driver. He remained a car lover throughout his life, regularly attending the monthly gathering at Golden Cove, overlooking the Pacific, well into his 82nd year. Perhaps more people knew him for his love of music, particularly folk music. Pitt’s bold baritone graced festivals and music clubs. But it was just the end result of study, practice and a love of music. Pitt made some of the instruments he played, and left behind a partially completed hammer dulcimer. The music library he left behind includes classical, opera, pop and a large collection of Spanish and related Latin LPs, in addition to innumerable folk recordings. Similarly he collected books on music of all sorts. His musical interests, whether known to others or not, were very broad. Pitt was also an accomplished recording and PA engineer, making other people sound good, perhaps better than they otherwise might have. He continued recording work until just before that final, fateful car collision. His knowledge of both music theory and the practical issues of performing made him a better engineer. Pitt had strong social and political opinions. He was an unshakeable acolyte of Ayn Rand. When I last saw him, on Tuesday evening, March 29, he had recovered enough strength and presence of mind to be back expounding the superiority of Rand’s views over my well known, more liberal sentiments. I took this feistiness as an indication that he was recovering strength and health. His doctors also felt that he was gaining strength – sufficiently to schedule him for a minor surgical procedure last Wednesday. I’m not a medical person, but I fear that the strain of that surgery may have hastened his passing. When I saw him, however, he was looking forward to the surgery, and to what he believed would be an improvement in his situation. People to whom I have spoken, who visited with him after the surgery indicate that he had been doing poorly since the procedure. For the past 15-16 years, Pitt shared an apartment with a disabled, multiple stroke survivor. When his roommate was struck by a truck, while riding his bicycle, a few years ago, Pitt took over complete management of the roommates finances, then his daily care, grocery shopping, etc. The roommate was 11 years younger than Pitt, and not suffering from cancer. Pitt’s work on behalf of his (very non-musical) roommate might be seen by some as simple pragmatism – keeping the roommate alive to maintain his veteran’s and social security income to make the apartment viable. But anyone familiar with the energy Pitt poured into the Topanga Banjo Fiddle Contest & Folk Festival, and other musical endeavors, without compensation, or, when there was any compensation, too little compensation for the work done, knows that Pitt’s conduct was at least as much a matter of his personal generosity and belief in helping people who needed it. In the past few years, as he battled cancer and had to work less and less, many members of the So. Cal. 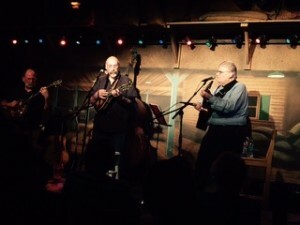 folk music community returned Pitt’s generosity in his hours of need. It was always a matter of principle for him to acknowledge, with gratitude the help that he received. I expect that Pitt Kinsolving will live for decades to come in the memories and shared stories of the people who knew him. I was there when his beloved MGB-GTs were taken away by a man, with his young son eagerly there ‘helping’. We may hope that, like folk music, they will be lovingly cared for and passed down to a new generation to enjoy as Pitt enjoyed them. Pitt is in a convalescent hospital in Los Angeles following a complicated series of events. The cancer has flared again (he was having chemotherapy again), and there has been a series of infections that caused him to be hospitalized at the end of the year. He was discharged prematurely and then involved in a traffic accident on the way home, hospitalized again, and he is now in the convalescent hospital. Currently, he is unable to move his legs, and it is unclear whether this is because of the cancer or the injury from the accident. Visitors are most welcome during this difficult time. If you would like to get in touch with him, send and email to folkmusic@caltech.edu and we’ll help you get in touch. 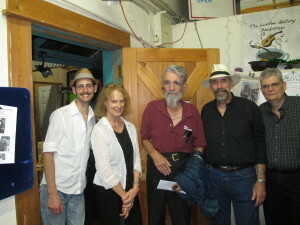 The fundraising event at Bob Stane’s Coffee Gallery Backstage was a great success! The show sold out and many of Pitt’s friends attended. The music from Witcher, Recupido, Levitt & Witcher was fantastic, as many of their friends and family attended as well. Ross Altman gave a fine introduction to Pitt, who spoke and then sang (in his very low vocal natural key) and played Wild Mountain Thyme on mountain dulcimer, with the audience singing along on the chorus. Of course, there was the singing of Happy Birthday and lots of cake. A solid chunk of money was raised and Pitt was very appreciative, knowing that he would have a bit of a financial cushion for paying the rent and bills. Tuesday, September 22, 8PM at The Coffee Gallery Backstage in Altadena! Dennis Witcher, founding member of one of Southern California’s longtime popular bluegrass bands, the Witcher Brothers, has reconfigured the group (sons Gabe and Michael are making it VERY big in the music world and have moved out of the area) and the new band will be making their debut as Witcher, Recupido, Levitt, and Witcher on Pitt’s 83rd birthday at the Coffee Gallery in Altadena! They will have Dennis on mandolin and vocals and his longtime bandmate and songwriting partner, Tony Recupido on vocals and guitar, joined by another one of Dennis’ sons, Loren Witcher on bass, and Dan Levitt on banjo. We’re really looking forward to hearing this combination! The idea is to get bluegrass fans and Pitt’s friends together to celebrate his birthday and have a great time. All the proceeds will be set aside for Pitt to help him through tough times (see 8/20/2015 update below). Since this is a fundraiser, we hope to sell every seat of this intimate 49 person hall. We will keep a waiting list, if necessary, but remember, no-shows will hurt us, so if you reserve, please let us know if you have to change your plans. Donations are not tax deductible but will be put to good use. Reservations are highly recommended. Bob Stane of The Coffee Gallery is generously donating the use of his fine facility, along with the great sound and lighting he provides. Snacks and drinks will be available in the front room, so you can come hungry and thirsty! This program is NOT sponsored by the Pasadena Folk Music Society, but after all Pitt did for our organization in the early days and since, our Board wants to do what we can to help him! Pitt has had a tough 2015, beginning with hospitalization, followed by an extended stay in rehabilitation in Burbank. In July, Pitt returned to his apartment, he is able to drive, and he is even doing a bit of conference recording work with his friend, Shelley Herman. He has ongoing physical therapy and he’s doing fairly well now, but he is facing another round of chemotherapy once he gets some of his weight and strength back. Doctors are checking his blood regularly, keeping an eye out for cancer recurrence. Pitt has been amazingly resilient since the original treatments began over 3 years ago, and he has shown a strong will to live. But work has been scarce and his income is quite limited, so some of his friends want to help him by providing a small buffer to help him going during tough times. We’re disappointed to hear from Pitt that he is undergoing chemotherapy; the cancer is back. Doctors believe that they have stopped the spread of the cancer and they are optimistic that a surgery in the near future will overcome it. Meanwhile, Pitt continues to work, recording seminars and other events, and he is eager to record somebody in the studio. We wish Pitt well with these developments. You can contact us at folkmusic@caltech.edu and we’ll get you in touch. We got a call from Pitt and things are going pretty well. He makes it to our concerts now and then. He could still use some work, so if you’ve got a recording project that could use an engineer, he has access to a studio and would do a fine job for you. Contact the Folk Music Society at folkmusic@caltech.edu and we’ll put you in touch with him. He is also trying to find a way to lower his rent, which takes up most of his Social Security income. He currently lives in Los Angeles, near Culver City. Again, if you have any leads, contact the Folk Music Society. Pitt continues to hang in there health-wise. He’s also planning to attend the Folk Music Society’s 30 year birthday party. To supplement his Social Security income, he works when he can find it, particularly in the sound and recording field. If you need a sound man, get in touch! Pitt is also trying to organize an effort to offer financial aid to other “old folkies” like himself, who struggle to make ends meet with limited income as they encounter increasing health problems. Get in touch if you want to help. Pitt’s friends and fans of the Witcher Brothers packed the Coffee Gallery in Altadena for a fundraiser for Pitt. Pictured below are Michael Witcher, Terry Slegre, Pitt, Dennis Witcher, and Tony Recupido. Pitt is doing pretty well and came to the Laurie Lewis & The Right Hands concert at Caltech last Friday. He’s been able to work a bit and is trying to line up health and financial assistance. Pitt is back home, following 2 surgeries, chemotherapy, and radiation. He has ongoing medical needs, but he’s able to drive and has been doing a few sound recording jobs. He needs financial assistance, beyond the Social Security money that he receives. If you would like to help, a check made out to Pitt can be sent to his friend, Shelly, whose address is at the bottom of this page. We hope to sponsor a fundraiser here locally in the Pasadena area, but longtime songwriter, singer, guitarist and keeper of the flame for the tradition of folk music, Ross Altman, has stepped forward and will be doing a show to raise money for Pitt in Venice at The Talking Stick on May 3 from 8-10PM. Details are still being worked out, but put it on your calendar! Ross will celebrate Pete Seeger’s 93rd birthday with an evening of Pete’s songs. He’s calling it “Pete for Pitt.” Even if you don’t already know Pitt, it will be a great evening of Pete Seeger music. 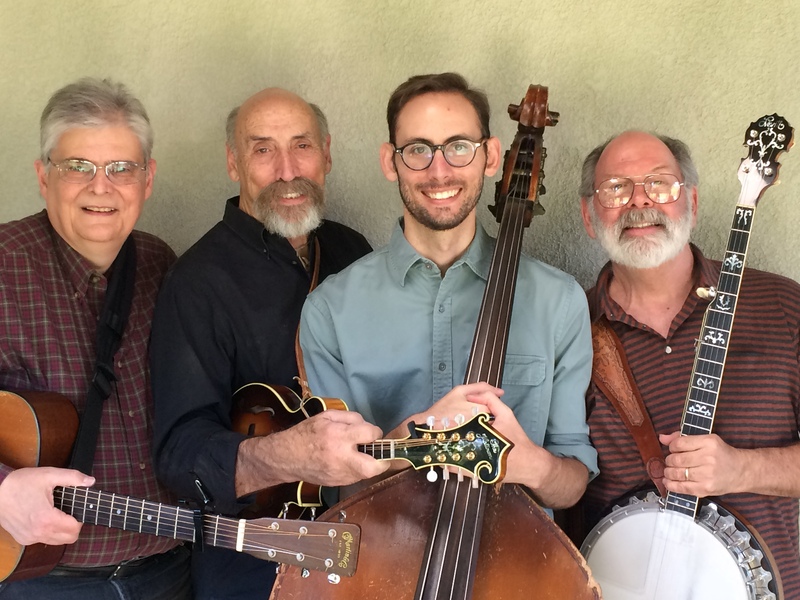 Tickets are be $15 (available at the door) and Ross Altman has invited members of the Santa Monica Traditional Folk Music Club to perform Pete Seeger songs (in the broad sense- Seeger originals, as well as traditional songs and songs written by others that Pete has sung. Everyone will be invited to sing along. In the second half, Ross will do his tribute to Pete on banjo, 12-string, and 6-string guitar, featuring songs and great stories that Ross has heard from Pete over the years. It will be a fun evening and all the money raised, after expenses to the venue, will go to Pitt. 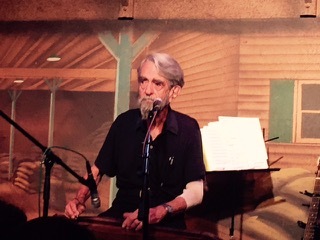 Pitt Kinsolving, our longtime friend, man with a very distinctive name, and lover of folk music, is facing serious health issues. Pitt is the seasoned sound pro who began doing the Folk Music Society’s sound engineering way back in 1985, when our founder, Brian Toby graduated and had to pass a whole bunch of batons on to others. Pitt not only did our sound for many years, but he passed on his knowledge and skills to some of the heroes that followed him, John Lonczak, Walter Hamilton, and Roger Sherman. He was also largely responsible for another wonderful live folk series in Pasadena at AEA (Audio Engineering and Associates.) In more recent years, he’s had a big hand in making the Topanga Banjo Fiddle Contest & Folk Festival happen, as well as being very involved with Songmakers and the Santa Monica Traditional Folk Music Club, among other groups. Below is a letter from Pitt’s friend, Shelley Herman, that will tell you more about Pitt’s situation and how you can help. If you’d like to help, you can make out a check to Pitt and give it to Nick or Rex at a show, and we’ll see that he gets it. The folk music world is not a huge one, but at our best, we can be a tight family, and one of our brothers needs help. This looks like it is from Pitt’s email because we had to break into his list to find all his contacts, but it’s coming from his friends and fellow performers who want to help this one small icon. Some of you, both east and west, will remember Pitt Kinsolving. Active on both coasts and, to some extent in between, he has been a life long exponent of traditional music, but now he needs our help. In January of this year, following an increasingly disabling illness he was diagnosed with cancer. Fortunately a combination of chemotherapy and intense radiation seems to be shrinking the cancer to the point where it can be surgically removed, The doctors say that the rehabilitative surgery can be performed around the first week in April if all goes well. Even though he is still capable of doing excellent recording work with acoustic music and has access to one of the very top recording studios in Los Angeles, it will take at least until mid summer for him to get back on his feet. Until then, at 79 years of age, his ability to generate income isn’t too great, and with increasing medical expenses and savings exhausted, his financial position is critical. Pitt’s earliest experiences with folk music began with hoots on the Yale campus, local performances in New York and New England. He was involved with the Pinewoods Folk Music Club and the Picking & Singing Gathering in the east. He was involved with folk music shows at “Fool’s Mate” coffeehouse in Westport, Connecticut in the 1960s. He also promoted house concerts with Lisa Null in New Canaan, Connecticut and at Audio Engineering Associates and the Caltech Folk Music Society, both in Pasadena, California. Later on the west coast, he was involved with Santa Monica Traditional Folk Music Club, Songmakers, and The Topanga Banjo Fiddle Contest & Folk Festival where he has been a contestant, judge, performer, sound mixer, board member and, for several years, president. 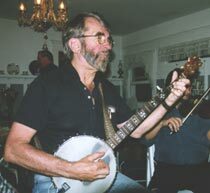 In the process he became a respected performer who made appearances from Maine to Florida, relocating to the Southern California in 1979, where he has been pursuing recording and live sound reinforcement as his primary career, while never abandoning his commitment to preserving and performing traditional folk music. When I told Pitt that I was going to send this letter, he said that he was sure that he was not the only old folkie out there that was in a similar situation. He thinks that while he is in trouble now, with your help, he will eventually work his way through it. But he would like to have an ongoing fund to help other old folkies who outlive their royalties or never got any, after all folk singing has never been the way to great riches. We hope to have some fund raising events in the near future, but anyone anywhere, who feels the urge, can contribute to the P-K Old Folkie Relief fund at anytime. Your help is needed.